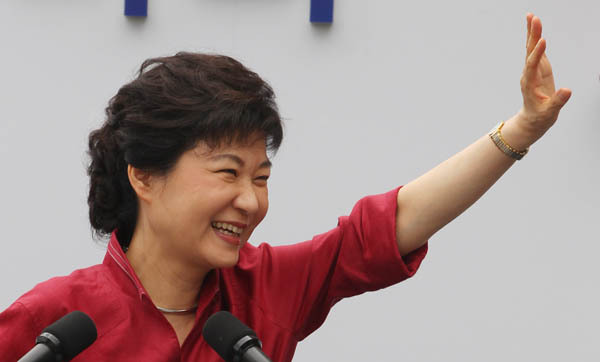 Park Geun-hye’s candidacy has both an uphill battle and an unfair advantage. Her advantage is over both Moon Jae-in, the candidate of official the opposition Democratic United Party, and Ahn Cheol-soo, the super-rich software titan. The advantage is the speculation that her two rivals will split the left-wing vote unless one backs down or agree to some form of power sharing in a president/prime minister system. Park, by contrast, has more or less unanimous right-wing support. It’s tempting for left-leaners to assume that the trickling of the Arab Spring or something would affect Korea, inspiring fury after five years of conservative government. But there just isn’t enough precedent to tell what the country’s natural governing party is—and Korea is, after all, a pretty socially conservative place. Third and final Haps piece outlining the basics for this winter’s presidential election. Genuinely interesting narratives, unfortunately overflooded by people being instantly bored by the word “politics”. Ah well.